Biomedical Research and Therapy (ISSN 2198-4093) is the major forum for basic and translational research into therapies. An international peer-reviewed journal, it publishes high quality open access research articles with a special emphasis on basic, translational and clinical research into molecular therapeutics and cellular therapies, including animal models and clinical trials. The journal also provides reviews, viewpoints, commentaries and reports. Biomedical Research and Therapy's Editorial Policies follow the recommendations of the International Committee of Medical Journal Editors (ICMJE), the World Association of Medical Editors (WAME), and the Committee on Publication Ethics (COPE) for guidance on policies and procedures related to publication ethics. The journal is published monthly, 12 issues per year. 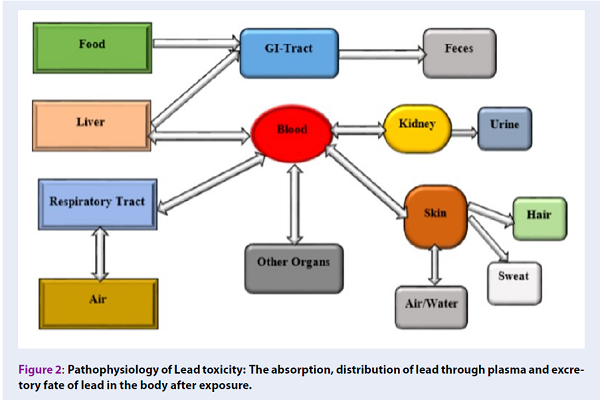 Summary: Lead poisoning causes numerous clinical implications in almost all organs, with the brain, liver, and kidneys serving as the primary targets due to the abundant presence of mitochondria. Curcumin is one of the most potent constituents of Curcuma longa, which is lipophilic, phenolic and water insoluble. Curcumin is a strong antioxidant and anti-inflammatory agent in the treatments of neurodegenerative disease, cardiovascular, renal, and liver diseases, with a potential anticancer mechanism in a few clinical and experimental trials. This review will focus on the health impact of lead-induced toxicity in different organ-systems, which occurs as result of increased oxidative stress through the generation of reactive oxygen species (ROS) and reactive nitrogen species (RNS) and will discuss the therapeutic potential of curcumin against lead-induced toxicity in both human and animals. 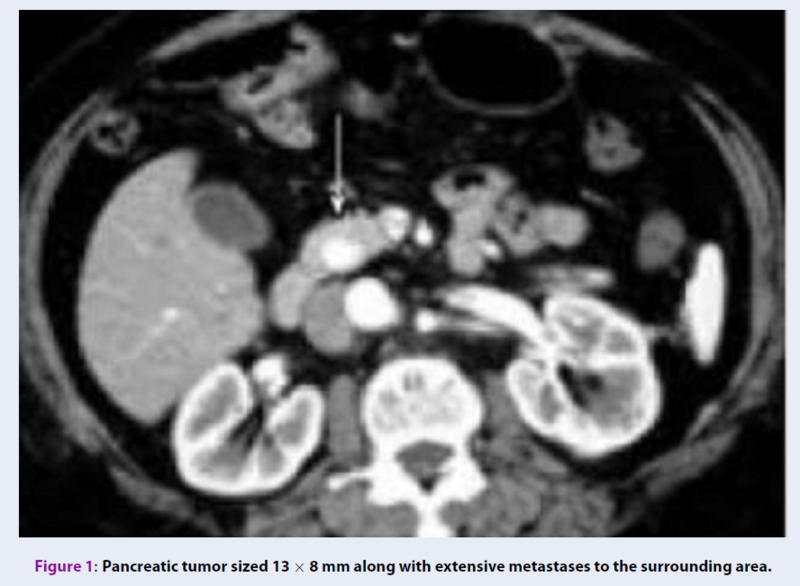 by Zarei M., Dastras M., Roshanravan M.
Summary: We report a rare case of non-insulin secreting malignant insulinoma of the pancreas and discuss its medical and surgical management. by Mohamed R., Azhar Abdul Razak M., Adib Kadri N.
Summary: Dielectrophoresis (DEP) is based on polarization and bioparticle movement in applied electric fields. Each type of cells has its own electrical properties within the DEP spectra and undergoes significant changes in direction of frequency following an increase of an applied nonuniform alternating current (AC) electric field. 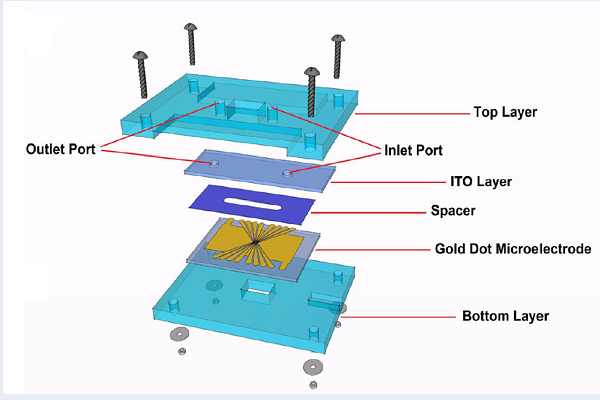 Therefore, DEP can be an effective technique for characterization and separation of different cells. The goal of the current study was to determine the electrophysiological properties of human monocytes and a human monocytic cell line originated from an acute monocytic leukemia patient (THP-1), using a lab on a chip (LOC) device that utilised microarray dot electrodes. by Kakaei F., Shahrasbi M., Asvadi Kermani T., Taheri S., Tarvirdizade K.
Summary: Probiotics are living bacteria, which can be used as a food supplement to produce inhibitory agents and compete with pathogens in the guts. Nowadays, because of the easy accessibility and misuse of antibiotics, probiotic usage is increasing. 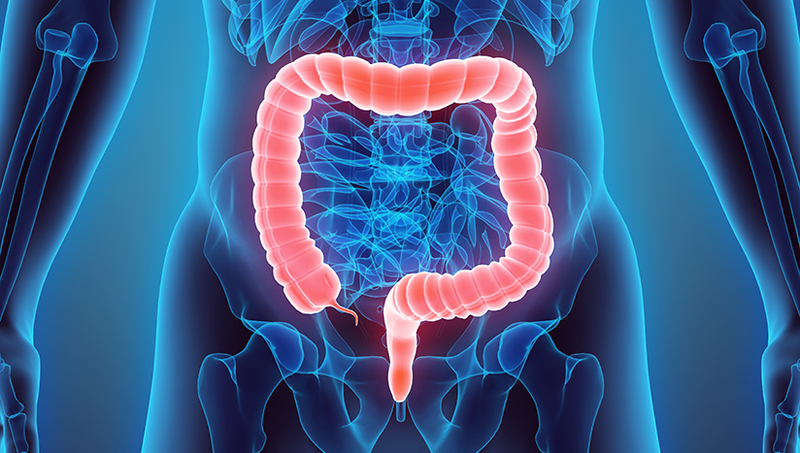 The goal of our study is to assess the effects of probiotics on colorectal surgery complications. by Karina K., Rosliana I., Sobariah S., Rosadi I., Afini I., Widyastuti T., Remelia M., Sukmawati D., Adiwinata Pawitan J. Summary: Hyperglycemia in diabetic patients induces elevated pro-inflammatory cytokine production, resulting in cellular damage, which may affect the regenerative function of mesenchymal stem cells (MSCs), such as adipose-derived stem cells (ADSCs). 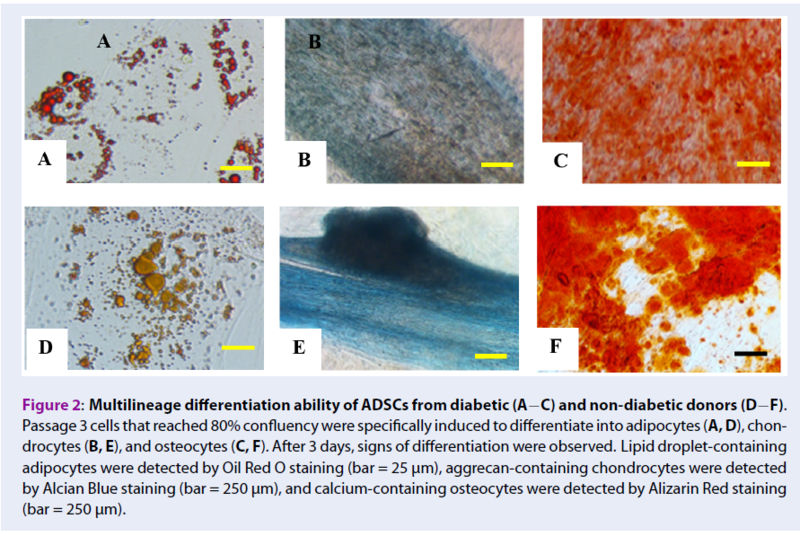 Identifying the effect of diabetes on ADSCs and optimization of culture conditions is therefore an important starting point for the application of autologous stem cells to improve clinicial outcomes. The aim of this study was to investigate the effect of diabetes on ADSCs that cultured in low-glucose anti-oxidant-serum supplemented medium. by Mehdi Moosavizadeh S., Mahmoudvand H., Nadri S., Rouientan A. Summary: Correction of a crooked or deviated nose is a major challenge for rhinoplasty surgeons. 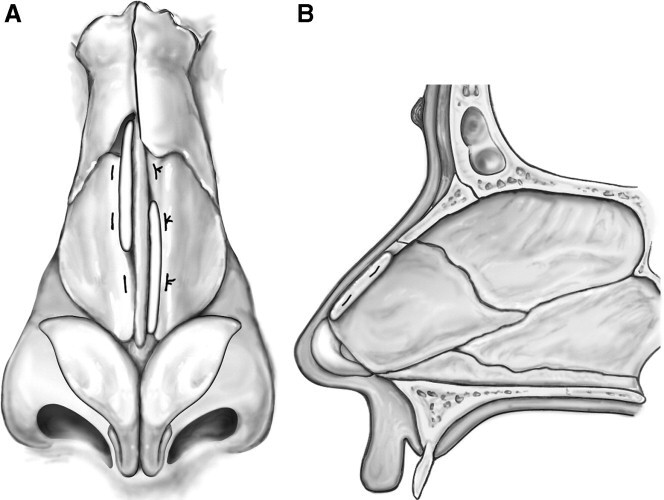 In the present study we proposed to compare the aesthetic and functional results of unilateral grafting using spreader grafts on the convex side of the nasal deviation with those used on the concave side. by Nejati P., Sadeghi M., Amirian F., Ramezani M.
Summary: Gastrointestinal (GI) metastasis is very rare in patients with breast cancer (BC). This study reports a case with colon carcinoma metastasis originated from breast cancer in Western Iran. A 37-yearold female was diagnosed with infiltrating ductal carcinoma. Immunohistochemistry (IHC) results showed positive estrogen receptor, progesterone receptor, HER2 scored 2 out of 3, Ki-67 in 30% of tumor cells and P53. 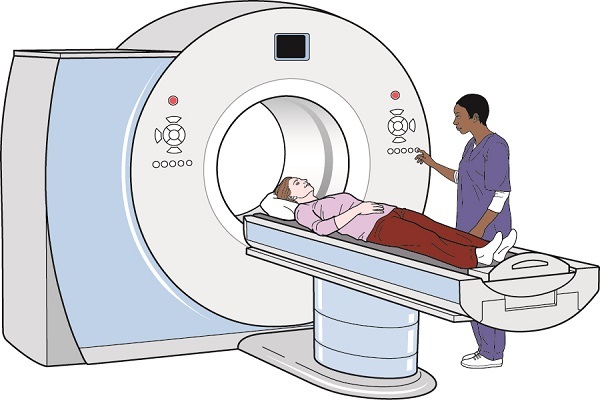 The patient was re-admitted two times with urinary and GI symptoms, positive tumor markers and thick colon wall. 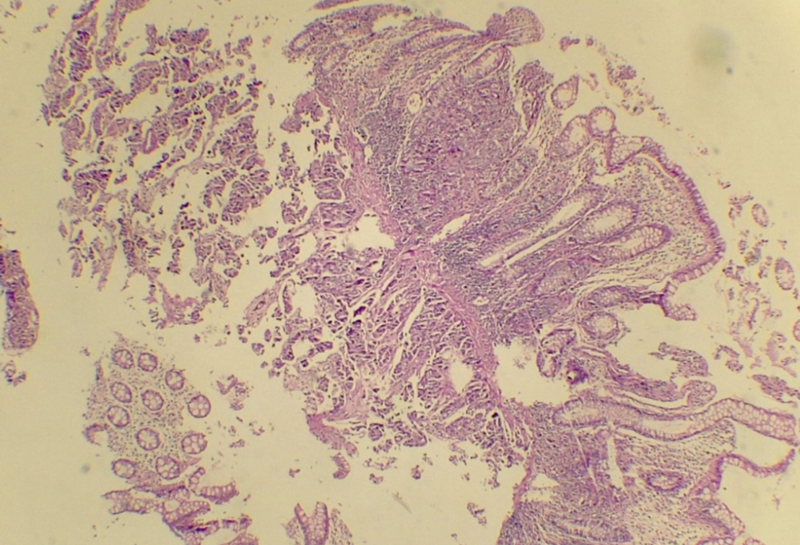 Samples from the colon were collected to test for metastasis. The pathologist reported metastatic breast ductal carcinoma spread to the colon. The IHC showed CK7, CK20, GCDFP15, ER and PR positivity. In conclusion, this IHC panel can be considered as the differential and diagnostic markers for malignant GI lesion originated from breast cancer. by Abdulfattah Sharaf R., Palaniappan R.
Summary: Sixteen patients (14 females and 2 males), who attended the Neuro-Otology clinic/ ENT clinics at the Royal National Throat Nose and Ear Hospital, participated in this study. After general medical, audiological and Neuro-Otological examination, patients underwent the caloric and rotational testing. by Marina L., Vadym Z., Sergiy L.
Summary: Hypertensive heart remodeling requires the assumption of different factors, including an increase of left ventricular mass (LVM) and myocardial fibrosis. It was shown that aldosterone stimulates cardiac collagen synthesis and fibroblast proliferation. CYP11B2 is one of the genes responsible for the effects of aldosterone. Therefore, hypertensive remodeling could be partially related to the polymorphism of this gene. The purpose of this study was to assess the association of CYP11B2 polymorphism with structural remodeling by changes in geometry and myocardial density to define their role and interaction in hypertensive heart disease. by Udombhornprabha A., Kanchanakhan N., Phongmanjit P.
Summary: The herbal medicine combination (HMC) containing 2% Asiaticoside and 1% Acemannan, in a Beeswax encapsulation of 2% Acetylsalicylic acid base, was developed as a topical treatment option for mild-to-moderate chronic venous disease (CVD). For control (C), Beeswax encapsulation of 2% Acetylsalicylic acid base was used. by Mokhtare M., Zeidabadi A., Bahardoust M., Safari S., Barati M., Agah S., Motavaf M.
Summary: Hepatitis C virus (HCV) infection affects almost 180 million people around the world. 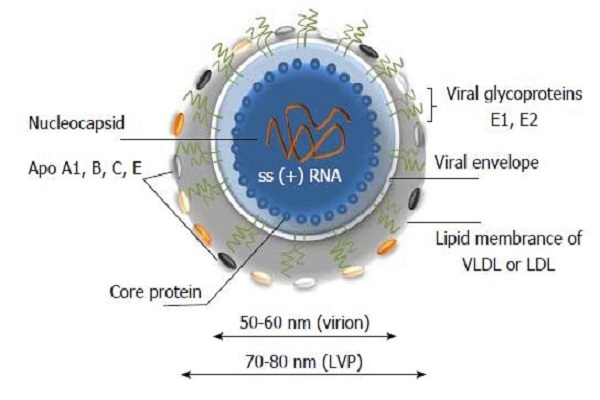 Even though the development of direct acting antivirals (DAAs) has significantly improved the treatment responses to HCV infection, treatment with pegylated interferon (PegIFN) in combination with ribavirin is considered the standard of care (SOC) for chronic HCV infection treatment in countries with limited medical resources. 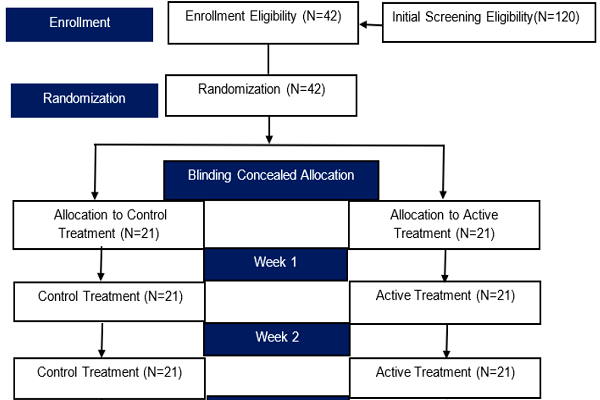 Considering the inhibitory effect of vitamin B12 on HCV replication, we have evaluated the effect of vitamin B12 supplementation along with SOC on treatment outcomes in patients with chronic HCV infection, who were antiviral treatment-naive. by Khosravi A., Nakhaee A., Ghoreishi A., Arefpoor Z., Sadeghi M.
Summary: Recent evidence has suggested that oxidative stress may play a role in the pathophysiology of migraine. 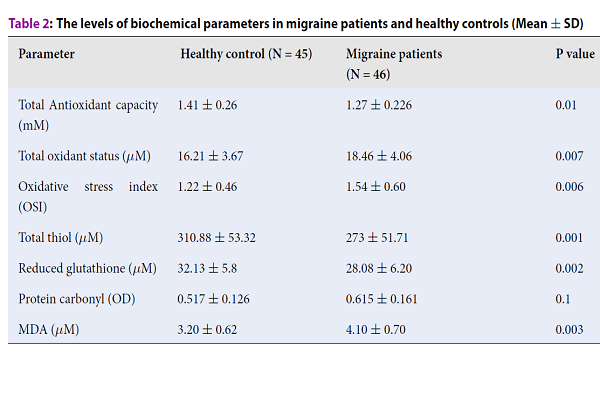 In this study, we aimed to evaluate the oxidative-antioxidative status in sera of migraine patients from an Iranian population during migraine attacks. by Zarei M., Tabatabaee A., Roshan Ravan M.
Summary: This study aimed to determine the effect of wet-cupping on pain intensity in patients with migraines. by Kermani T., Kermani I., Faham Z., Dolatkhah R.
Summary: Breast cancer (BC) is the most common cancer in women and is the second most common cause of fatality in patients with cancer in the world. Cell proliferation plays an important role in the clinical behavior of invasive BC. 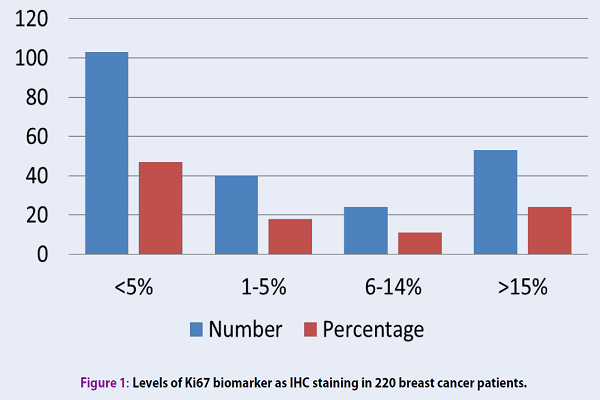 We aimed to assess the status of Ki-67 in patients with primary breast cancer and evaluate the association of this tumor marker with other clinico-pathologic and prognostic factors. The collections of published articles about stem cells as well as regenerative medicine. Biomedical Research and Therapy would like to invite guest editors to contribute special issue. The collections of published articles about herbal, natural products. Every year, all authors published their studies as Original research in Biomedical Research and Therapy can join this awards. Biomedical Science is an important scientific field that directly effects to diagnosis, treatment and prevention of diseases. The journal provides an important avenue of publication in translational aspects of biomedical research and therapy spanning from in vitro to preclinical studies, clinical research and commercialization. Biomedical Research and Therapy (ISSN 2198-4093) is the official journal of Stem Cell Institute, University of Science, VNUHCM, Ho Chi Minh city, Vietnam. Editors, peer-reviewers selected on the basic of their insightful, dedicated and prompt service. Publication within 2 months of submission. Biomedical Research and Therapy was accepted to include in Web of Science (ESCI), Scopus and other databases. Enabling it to be read by a much larger set of readers, increasing its visibility. Flat article processing article with no page limits, colore figure charges or submission fees. Heavy discount for low income countries and students. From Issue 4, Vol 5 (2018), BMRAT uses the reference style of VANCOUVER style. You should use reference manager software such as Endnote during the manuscript preparation. And then format reference with Vancouver style.